At Viscount West we have made it easy for Michigan residents to find a local hot tub or spa store. With five convenient locations in Flat Rock, Livonia, Waterford, Macomb or Monroe, Michigan you are sure to find the best hot tub retailer in your local area. Our inventory consists of a wide variety of popular hot tub brands at the best prices in Michigan. You will also find a wide variety of hot tub accessories to ensure that you have everything you need for your utmost relaxation. As your local hot tub retailer in Michigan, we will assist you in knowing the necessities you will need such as thermal hard covers or chemicals to maintain your hot tub in Michigan. Whether you are looking for a small hot tub or a large hot tub, the professional hot tub retailers at all five of our locations can help you get the perfect hot tub or spa for your space while staying within your budget. 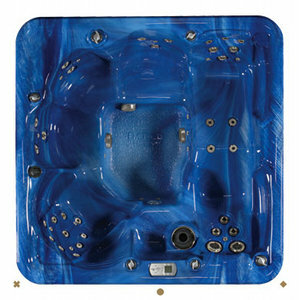 We have the largest inventory of affordable hot tubs for you to select from in Michigan. Be sure to check out our specials to see how you can save even more money on the purchase of a new hot tub or hot tub accessories in Michigan. For more information on buying a hot tub for the first time, please contact us. We will be sure to help you with any questions you may have.